"No relation with North Korea, for your information." This was the blunt response from Malaysian firm MKP Holdings, when quizzed by The Straits Times over a report by the United Nations Security Council (UNSC) on possible violations of sanctions meant to stifle North Korea's nuclear arms programme. In the recently released report, MKP - short for Malaysia Korea Partners - is investigated for establishing the International Consortium Bank (ICB) in Pyongyang via a joint venture. Under UN sanctions, institutions are barred from "establishing joint ventures and from taking an ownership interest" in North Korean banks. The firm is just one example of Malaysia's failure to enforce the UN resolutions, as pointed out in the UNSC report. Malaysia is only now clamping down on North Korean activities, following the Feb 13 killing of Mr Kim Jong Nam, which was allegedly ordered by his half-brother, North Korean leader Kim Jong Un. The UNSC report and Malaysian police both say that another Malaysian company flouting the sanctions is Glocom, set up in 2009 as a front for the Reconnaissance General Bureau, North Korea's spy department. Police chief Khalid Abu Bakar said it is in the process of being struck off by the Companies Commission of Malaysia. The general view is that Malaysia is somewhat lax on enforcement of its export control regime related to proliferation financing (funding nuclear weapons) with respect to Iran and North Korea. PROFESSOR STEPHAN HAGGARD, a North Korea expert at the University of California, San Diego. This came about only after media reports about Glocom's activities. The police did not explain why they did not act earlier. A senior government official involved in law enforcement told The Straits Times that the authorities have been "working backwards" since the murder to stem the perception that Malaysia has been fertile ground for covert North Korean activities. The UNSC report noted that it has yet to receive a reply from MKP and the Malaysian government on its inquiry about the firm's activities. The police also did not respond to The Straits Times' queries. This much is known about MKP: Company documents show that it is engaged in "investments". It is jointly controlled by Malaysian businessman Yong Kok Yeap and North Korean Han Hun Il, alias Edward Han. Its website says that it started as a construction company but has since diversified into shipbuilding, trading, banking, medical technology and eco-tourism. The website also states that the commercial bank ICB is licensed by North Korea's central bank in accordance with North Korea's foreign investment laws. The website claims that MKP has been involved in North Korean-linked projects for decades. The firm has even built a paddy museum in Kedah, which houses murals painted by 60 North Korean artists in 2004. MKP also organised an art exhibition, Window To Pyongyang, in Kuala Lumpur in 2008. The show was officiated by Tan Sri Ong Tee Keat, then transport minister, according to The Star newspaper, which reported that the exhibition was attended by "MKP Group chief executive officer Dr Edward Han". Besides Mr Han, Mr Yong was also present, said Mr Ong. "(Mr Yong) seemed to be quite intimate with DPRK and quite close to the ambassador then," Mr Ong told The Straits Times, using an acronym for North Korea's official name. MKP is also involved in deals in Africa like the Heroes Acre monument in Zimbabwe - a project by Mansudae Overseas Projects, North Korea's art construction company. It owns a Zambian financial leasing company, Commercial Capital Corporation, which the UN is investigating for possible links to North Korea. Last week, The Straits Times visited MKP's main office in an industrial estate in Balakong, outside Kuala Lumpur. Staff there threatened to call the police over "invasion of privacy". A visit to Mr Yong's home also yielded the same response. But an MKP officer whom The Straits Times managed to reach said information on the MKP website "is old" and denied that the company had any involvement with North Korean entities. The officer, Ms Siti Suzaini, also said Mr Yong is the sole director of the company and there is "no person at MKP Holdings called Mr Edward Han", even though the latest company documents show Mr Han has been MKP's director since 1998. A check at a medical software subsidiary of MKP about 10 minutes from its headquarters found that the office appeared unoccupied, with unpaid sewage bills dating back to early 2015 strewn outside the premises. South Korean daily Chosun Ilbo reported last month that Mr Han is one of the regime's financiers and had business ties with the late Mr Kim. Citing an unnamed source, the paper said he likely provided North Korean officials with information on Mr Kim's travel plans to Malaysia. He is said to have disappeared from work a week before the murder. 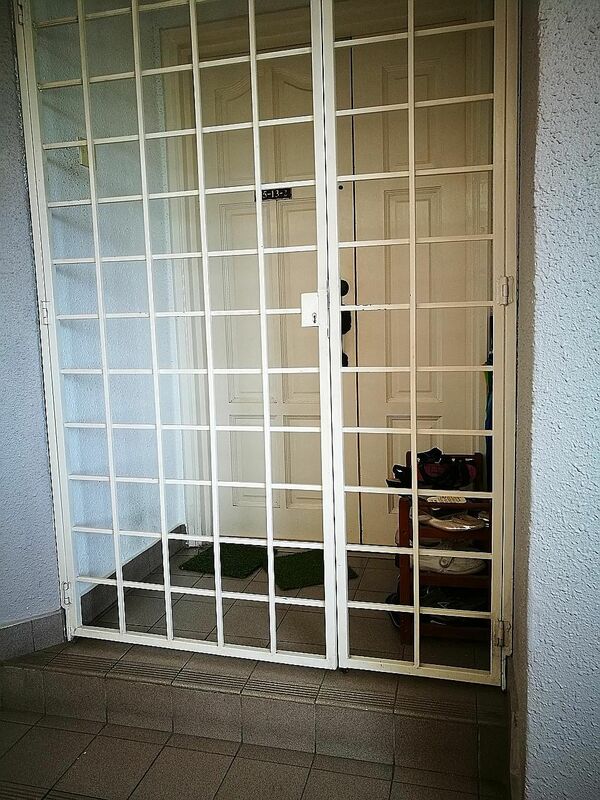 When The Straits Times visited Mr Han's residence near the popular Bukit Bintang shopping belt in Kuala Lumpur, no one answered the door, though the condominium unit appeared to be occupied. North Korea expert Stephan Haggard, of the University of California, San Diego, said that there is a general view that Malaysia is lax on enforcement of its export control regime related to the funding of nuclear weapons, when it comes to Iran and North Korea. "As long as governments are looking the other way, these violations will continue," said Professor Haggard. Correction note: This story has been edited for clarity.